Caption slip reads: "Photographer: Glickman. Date: 1958-01-03. Assignment: William and Mary Sovern married 72 years. Special Instructions: Monday. 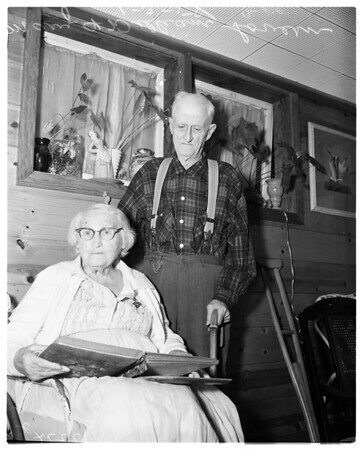 G115-116: Mary and WIlliam Sovern look over family album".